Kayaking is a universal pastime for water-lovers. A lake, river, pond, or ocean is all you need for a day of exploration on the water, but there’s no place quite like the Caribbean Sea to launch a kayak and peer down at the crystal clear water and marine life below. With water clarity ranging up to 30 feet on a good day and a host of cays just of the shores, St. Thomas and St. John offer some of the best kayaking destinations and excursions available. If you’ve never kayaked before, the calm, placid Mangrove Lagoon in St. Thomas or the quiet, pristine Caneel Bay in St. John are great starters as the ride is smooth and there’s plenty to see above and below the sea along the way. When considering kayaking, a tour excursion is the way to go as all the equipment and safety gear are included and your guide will lead you through the best kayaking sites in the U.S. Virgin Islands. I’m no naturalist, but I can guide you through the many options St. Thomas and St. John have to offer to find your perfect kayak excursion at sea. Kayak to Bird Island- This is the perfect kayak excursion in St. Thomas for a beginner or someone looking to do a leisurely kayak as the tour is an hour and half and has no destination point. Paddle through the mangrove lagoon and watch the birds dwelling on their sanctuary at Bird Island. This laid-back kayak tour offers incredible views of St. Thomas at sunset as the birds take flight around you. Kayak to Cas Cay- Kayak through the mangroves to your destination at Cas Cay where you’ll hike the nature preserve to visit the rare geological blowhole off its volcanic cliffs and behold the incredible views from its shell beach. Snorkeling off the shore of this secluded little island offers some of the most unique snorkeling sites St. Thomas has to offer through the strange and remarkable coral growths on the roots of the mangroves and the fish that take shelter between them. This three hour tour ends with a kayak back to the marina passing over shipwrecks and unique mangrove-dwelling wildlife like the upside-down jellyfish. If you’re looking for extra kayaking and snorkeling time, an Extended Kayak to Cas Cay is available for a five hour tour with lunch on a full day St. Thomas excursion. 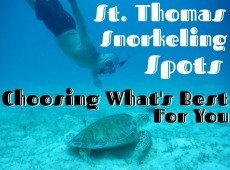 St. Thomas Night Kayak- Explore the mangrove lagoon amongst a starry St. Thomas sky on a kayaking journey after dark. Listen to local pirate legends and spooky ghost stories as you paddle through the dark lagoon. Keep an eye out for nighttime encounters with marine life such as tarpon, stingrays, and other glowing-eyed creatures. Kayak and Hike Caneel Bay- Paddle through one of the top bays in St. John and look down at the extraordinary coral growth protected by the Virgin Islands National Park system. 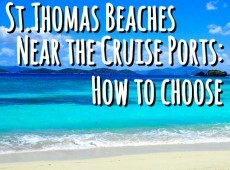 Snorkel among sea turtles and stingrays, and hundreds of tropical fish in Caneel Bay. Then explore Turtle Point as the naturalist guides you through the unique plant life and wildlife along the way. A three hour excursion will show you the best of Caneel Bay in St. John on a kayak, hike, and snorkel tour. Kayak to Henley Cay- Kayak across Caneel Bay to the uninhabited Henley Cay where incredible reef and marine life surround this Virgin Islands National Park treasure. Snorkel among the elkhorn coral and schools of fish and then take a break on the shore with beautiful views of St. John and the British Virgin Islands on this three hour excursion. Add some extra activity to your tour with a hike to Scott Beach and lunch for a five hour St. John excursion on the Extended Kayak to Henley Cay. Kayak Honeymoon Beach- For every active adventure, there’s usually an easygoing option for those looking to balance exploration with relaxation. A watersports package at Honeymoon Beach allows you to kayak the bay at your leisure for a do-it-yourself excursion in St. John. Paddle boards and snorkel gear are also included to see the bay from all vantage points, or you could simply behold the island views from your float mat or beach chair. This watersports excursion has the best of both worlds and is perfect for families with different types of adventurers. Whether you’re an experienced kayaker or a first-timer, you won’t find a better backdrop or more perfect water than the U.S. Virgin Islands. Don’t miss the opportunity for the kayak of a lifetime! Experience one of the top things to do in St. Thomas through a guided kayak excursion. 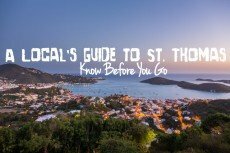 Be sure to check out our blog article on A Local's Guide to St. Thomas Kayaking, and visit our Kayaking page to book the best kayaking excursions in St. Thomas! If you have any questions about St. Thomas kayaking tours or any inquiries about the island, call or e-mail us for authentic local insight! 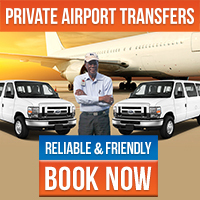 Looking for tours in St. Thomas? Look no further! 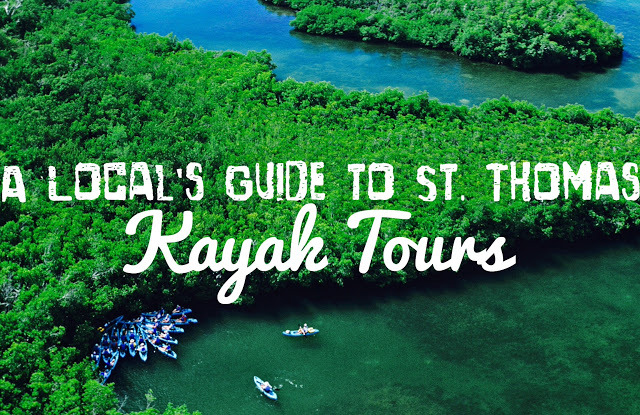 St. Thomas has some fabulous kayak tours that you would not want to miss!